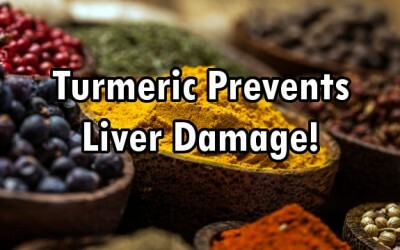 It is no secret that turmeric and its active compound curcumin are capable of promoting liver health. 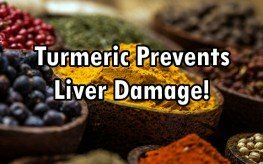 Past research has found that turmeric is capable of repairing damaged liver tissues, while various cultures utilized the spice to promote liver health for generations before then. Most recently, researchers in Isreal have discovered that curcumin may be a potentially effective natural treatment for liver cirrhosis, an ailment where normal, healthy tissues in the liver are replaced with scar tissues. The new study, published in Liver International, sought to examine the effects of this powerful spice on damaged livers. The researchers resorted to some fairly barbaric means to find that curcumin did, in fact, have a beneficial impact on liver damage. Liver cirrhosis was induced in lab rats by administering thioacetamide (TAA), a solvent normally used in textile and leather processing. Then, they treated half of the liver-damaged rats with curcumin, which was administered by gavage. Gavage is a term that refers to force-feeding by administering something directly into the stomach through a tube down the throat. Cruelty aside, the study did have some promising results. Those rats who were force fed 300 mg of curcumin daily for 12 weeks fared better than the control group who did not receive any curcumin. The researchers believed this is due to the anti-inflammatory properties of the spice. As with any disease or health problem, prevention should be the first line of defense. If you can avoid liver cirrhosis to begin with, you won’t need to seek out treatment. Liver cirrhosis can be caused by a variety of factors including hepatitis types A, B, and C. Excessive alcohol consumption and even the overuse of non-steroidal anti-inflammatory drugs (NSAIDs) like Tylenol can trigger the scar tissue that marks cirrhosis. But non-alcoholic fatty liver disease (NAFLD) is one of the main causes, and is entirely preventable through proper diet. A super-spice linked to everything from anti-inflammation to anti-cancer benefits, curcumin may be an all-natural treatment worth celebrating. And if you are suffering from liver damage, this may be something to consider. But if you don’t have cirrhosis and hope to never have it, prevention is crucial and entirely possible. Yes, this is savage science. HOW MUCH DO HUMANS TAKE ? With out this information , the rest of the information has little value ! I use Turmeric in everything that I prepare; from soups to hot/cold plates/. I know that Turmeric contains Curcumin. Is it possible to purchase Curcumin? Yes, turmeric contains about 6% Curcumin, so one gram of Curcumin equates to about 17 grams of turmeric. It’s important to mix Curcumin with black pepper and a healthy oil so choose the Curcumin supliment wisely. Does Curcumin come separate as a spice? or just within Turmeric? No, Curcumin is the golden yellow colour in turmeric but it has no Flavor by itself. So you can only get it as a supliment. I’m too poor to afford such things so I first got a kilogram of turmeric, it only cost $15 which is enormously cheaper than the typical prices as a spice. Then I managed to find a supplier in India and bought a kilogram of turmeric “Olioresin” from him. It cost about $35 but the shipping was another $45 but that eas still cheap because it is the raw extract from many kilograms of tumeric. It contains about 35% Curcumin. I mix it with black pepper, lethicin and coconut oil. Then each week I mix some of that with a tin of coconut cream and take a tablespoon each day. I apply it on Avocado. I read somewhere that you need to take it for best results with anything containing fatty acids, like avocado. Can you get me a price for getting the 35% down to Colombia, SA? Avocato is very good, but don’t forget the black pepper, it massively increases the bio-availability of the Curcumin. John, I am going to get fresh black pepper tomorrow. Is it possible that the supplier can contact me? I have sent your details to the supplier. Whoops, it won’t allow me to paste anything, damn. Anyway I think he said that twenty kg including DHL airfreight would cost about $1450 US to australia. John, any idea as to price on 20Kilos? Are you a doctor? Do you have a medical degree? A degree in any health related field? What qualifies you to make these health claims? You are such a dork “RealityCheck” – everything you post is wrong or, as in this case just plain Stupid. I made NO health claims. The only thing that even comes close is pointing out that black pepper increases the bio-availability or Curcumin. You are a dork, RealityCheck, why don’t you educate yourself before opening your big fat yap!